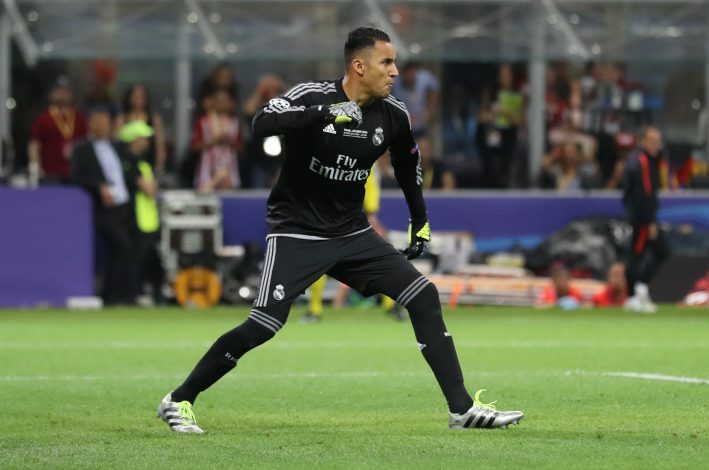 Real Madrid goalkeeper Keylor Navas has claimed that he will do whatever it takes to defend his position at the club. Navas has experienced a lot of scrutiny from the club fans recently, and some of the supporters present at the Santiago Bernabeu stadium on Wednesday continued to blow whistles at the 30-year-old during Real’s 3-3 draw against Las Palmas in La Liga, so as to express their dissatisfaction with his performances between the sticks. The Costa Rican was asked about the crowd’s hostile nature towards him after the game, to which he replied: “It is not the first time I have been whistled at the Bernabeu. I can turn the situation around and make the fans trust in me. “People are free to give their opinions, I respect that. I am going to work to change those whistles into applause. I know when I make a mistake, I do not hide. I was called into action four times and made one mistake. When the bullets are firing you must show your chest. Furthermore, Navas also sent out warning shots to the likes of David De Gea and Thibaut Courtois – the two goalkeepers that are reportedly being targeted by Real Madrid – by claiming that he will defend his position at the Madrid-based outfit until death. “I do not think that the fans make the decisions of who stays and who doesn’t,” he told Spanish radio station Cope.